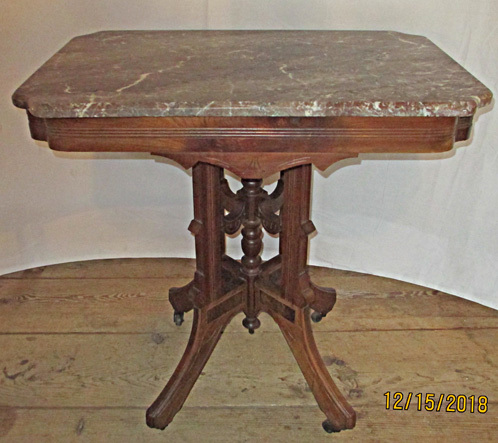 Here is a unique Marble Top Stand in the Eastlake style. 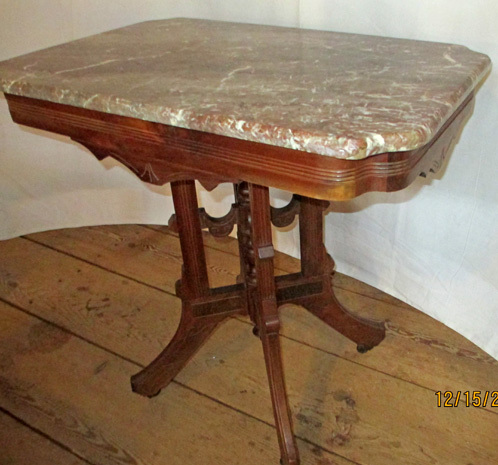 This stand has an original brown marble top which may be French in origin. 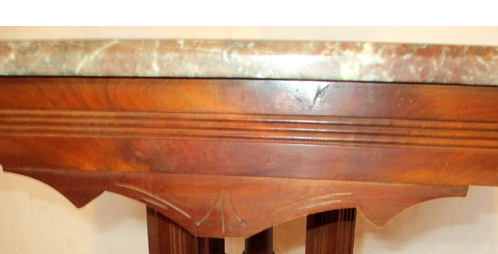 The wooden portion of the stand is walnut, and it has a Victorian motif on the pedestal base. 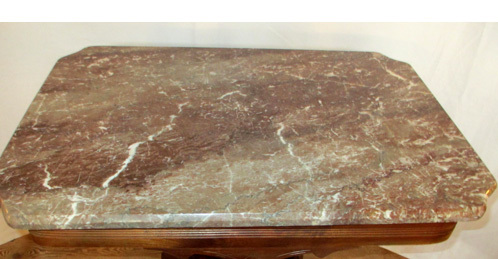 This would make a lovely accent piece in a living room or hallway as a lamp table or with a bouquet of flowers. Contact BARN ON 26 ANTIQUES for further details.